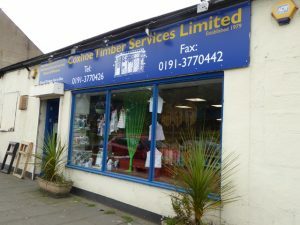 Coxhoe Timber Services is a long established family business based in Church Street in Coxhoe. There are two aspects to the business, the manufacture, supply and installation of timber and related products and a hardware store. A principal part of the companies business is the manufacture, supply and installation of hardwood and softwood doors,windows and staircases. The company has a manufacturing workshop located behind their hardware shop. The company also manufacture and install UPVC doors and windows. The company take pride in being able to offer a bespoke service to its customers. The hardware shop stocks a wide range of products at very competitive prices. You can get most of your hardware needs at the shop from light bulbs to paint. The shop has fantastic staff who are truly there to help and ensure that you get want you are looking for.